INFO: 12 EZStudRacks (1.5 Packages) used in this section. Each package of EZStudRacks can be installed in 5 minutes. Take a look at the installation videos on YouTube. INFO: 8 EZStudRacks (1 Package) was used in this section. 5 Minute Install! Remember, the goal is to have a row for each item. 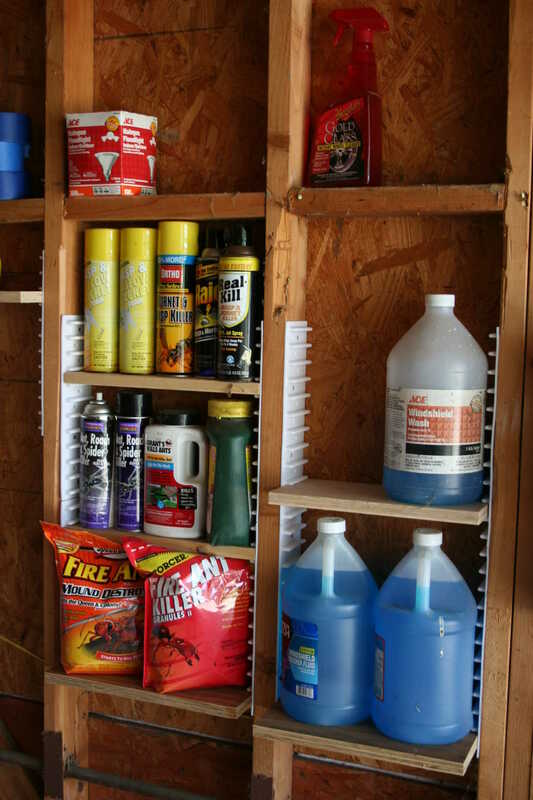 This gets you in the habit of always putting items in the same space. 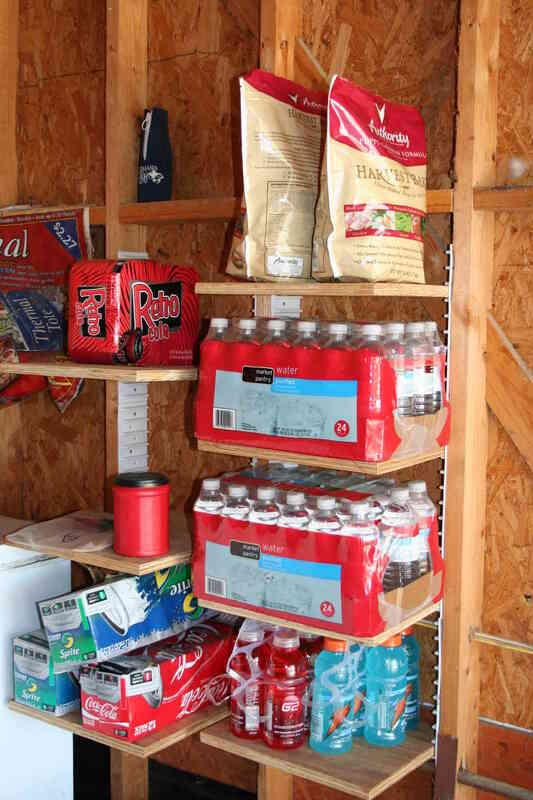 Some items might be better off using fixed shelving. 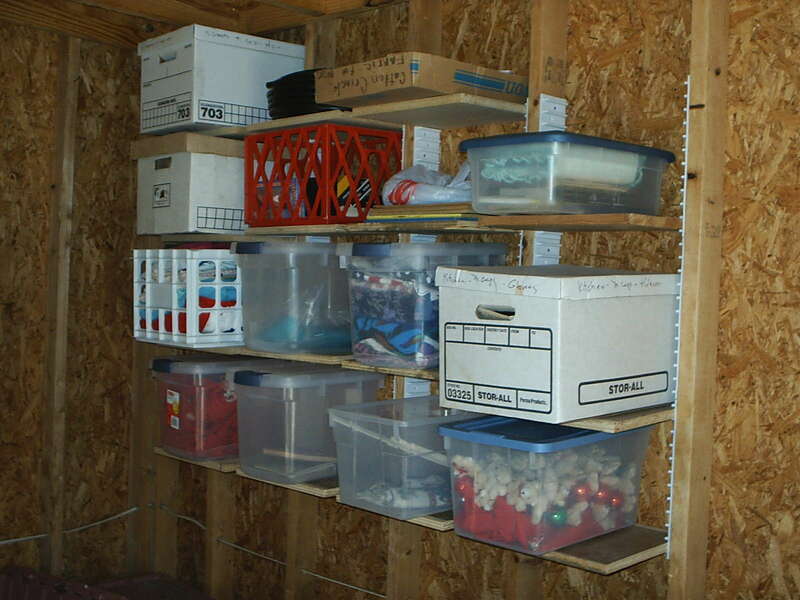 If you intend to store items like this, fixed shelving might be your better option. The downside is you might start cluttering it up with smaller items.